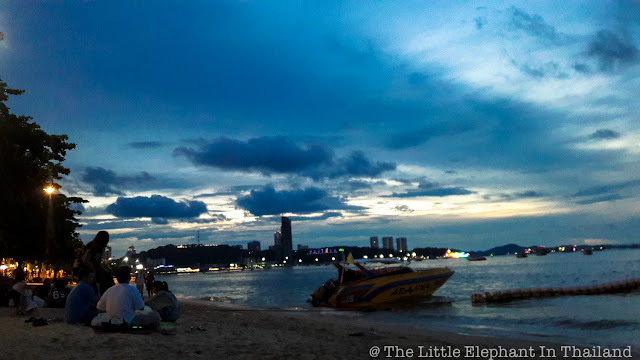 Pattaya is not really a place where you are going for a beautiful beach and crystal clear sea to swim. But still Pattaya beach and beach road are an attraction in itself. So in the evening I did walk to the beach and sit and relaxed with a beautiful sunset and enjoyed the evening and cool breeze. 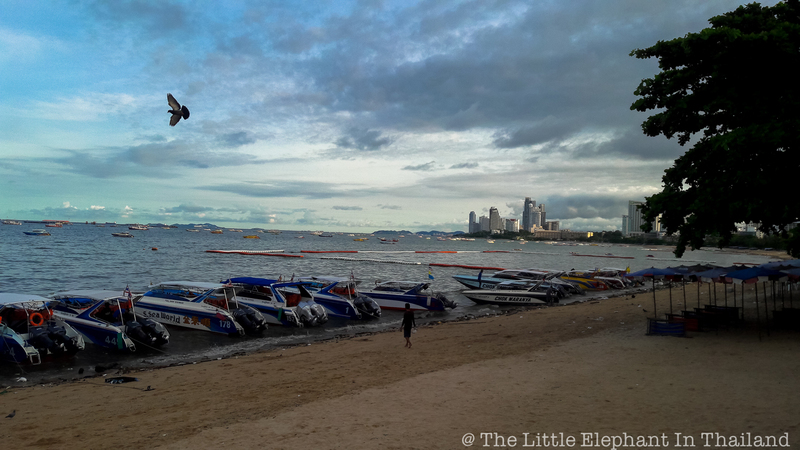 And early in the morning I came back, when speed-boats were lined up along the beach. And preparing for another day of transporting tourists to/from Koh Larn or for para-sailing in the bay of Pattaya. Life goes on 24hr a day in Pattaya.